TerraCRG has been retained to exclusively represent ownership in the sale of 646 Dean Street in Prospect Heights, Brooklyn. The offering represents a rare opportunity to acquire property in a neighborhood that is experiencing incredible growth with new residential and office developments on the rise. 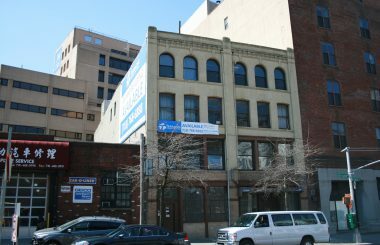 Located between Vanderbilt and Carlton Avenue, the four-story, M1-1 zoned property is comprised of 17,600 gross SF and can be delivered vacant. The prime location and zoning make the asset ideal for an office or creative-use conversion. Over the last decade, Prospect Heights, situated between Park Slope and Crown Heights, has become one of NYC’s most popular neighborhoods to live and work in. With the world-renowned Barclays Center anchoring the neighborhood, and the completion and development of the Atlantic Terminal Mall, 461 Dean, 550 Vanderbilt, 470 Vanderbilt, and Pacific Park, the property is in the heart of thousands of new residential units and a plethora of retail activity. Across the street, the Pacific Park development is a 6-billion-dollar project and when completed, will have 17 high rise buildings for residential, mixed-use, and office space spread over 22-acres. One of the largest and most renowned sections of the Pacific park project is the Barclays Center, home of the Brooklyn Nets and many concerts bringing people from around the world to visit. 646 Dean Street is within short walking distance to several subway lines including the C train at Clinton-Washington, the 2, 3, B, and Q trains on Flatbush Avenue, as well as Atlantic Terminal, servicing the 2, 3, 4, 5, B, D, N, Q, R, trains and the LIRR.